You will earn 5,198 Reward Points. Earn 1 reward point for every 1 dollar spent. Univex 1061299 Extension Ring (for 30 qt. bowl for 30 qt. 1 HP Capacitor Start Motor. Low voltage protection prevents accidental start up after power failure. 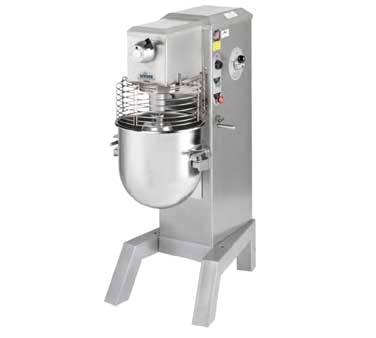 The SRM40+ mixer carries a two-year, on-site parts and labor warranty against any flaws in materials and workmanship. This period begins on the date of the purchase and, provided the unit is used in accordance with our instructions, is in full effect for two years from that date. Any work performed under this warranty must be performed between the hours of 8am and 5pm Monday through Friday. Univex will not pay for overtime charges for work performed other then during normal business hours. Damage incurred in transit or from installation error, accident, alteration or misuse is not covered. Univex shall not be liable for any consequential compensatory, incidental, or special damages. Contact the Univex service department for any warranty claims.